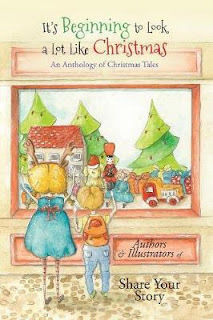 The release of a Christmas anthology, It’s Beginning to Look a lot like Christmas embraces a wonderful collection of festive stories and poems. Margaret Joy Gibb’s poem ‘The Magical Fairy Wish’ and story, ‘The Musical Christmas Tree’ captures the family and magic that the season brings. Editor Michelle Worthington encouraged and supported all the writers and this book raises money for bicycles for trainee teachers in Tanzania. There was a special book celebration at the Grand View Hotel, Cleveland, USA.